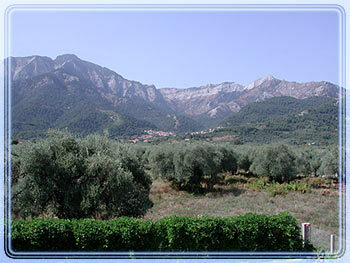 Posidonia Apartments is located in Skala Potamias in a quiet place just 200m. from Golden Beach. It has 9 apartments where 1 to 4 people can sleep. All the apartments, apart from one, have two balconies. There is also central heating. From our rooms, there is both mountain and sea view. From where we are located, we get a nice sea breeze during the day and a mountain breeze in the night. We have a yard, swings for kids, and table tennis available. There is also a water fountain for kids, big or small to cool off in. You will love our outside grill for your family cook outs. Parking is also available. There is a fire place in our reception area. At our common outside patio we have a large screen television with satellite where you can watch english and german programs. Our Apartments is just 150 meters from some excellent taverns, 200 meters from a super market and 50 meters from two pools / pool bars. Είστε ιδιοκτήτης ή διευθυντής στο Apartments Posidonia; Εγγραφείτε τώρα για δωρεάν εργαλεία, που μπορείτε να χρησιμοποιήσετε για να βελτιώσετε την καταχώρησή σας και να συνδέσετε την ιστοσελίδα σας και το σύστημα κρατήσεών σας.